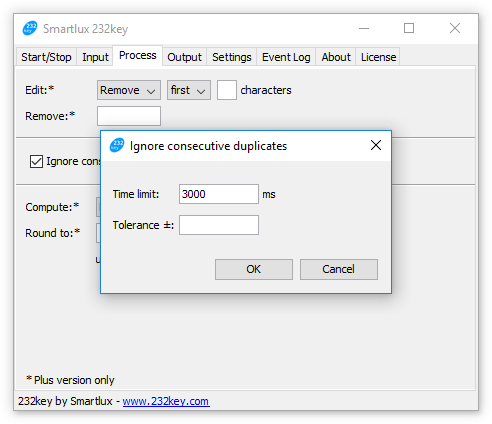 232key version 2016.2.3 comes with the ability to ignore consecutive duplicates. 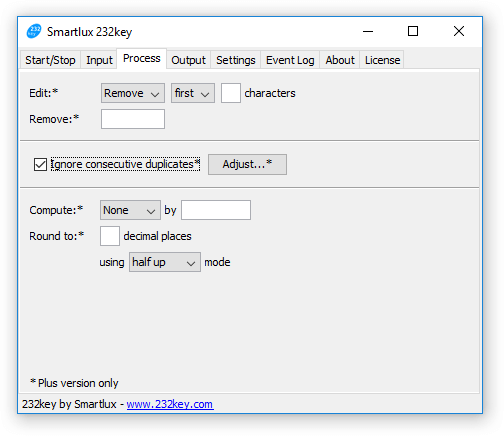 This means that you can instruct 232key to ignore identical data captured several times in a row. I’ll explain this new feature with two usage examples. Any data received after the indicated time has passed is no longer ignored. Each new captured value resets the timer. In auto print mode, a scale sends the weight automatically without requiring the user to press a button. Not all scales are equipped with this mode and not all auto print modes work in the same way. 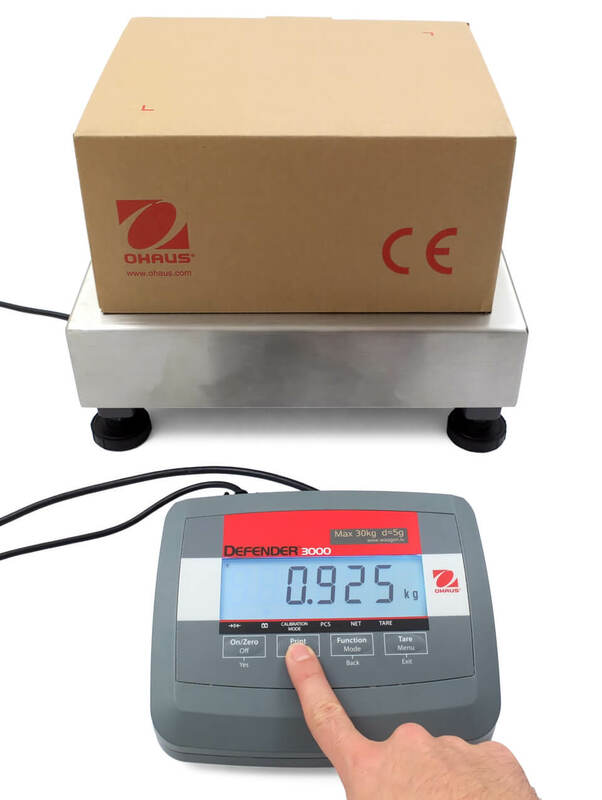 The Ohaus T31P indicator used in our example has a very simple auto-print mode: It sends every stable weight to the connected PC. This can cause issues if the weight of an item fluctuates between two values: The scale might send these values several times for as long as the item remains on the platform (e.g. 20.00 and 20.05 [kg]). Now, when the scales sends a weight of 20.05 after just having sent 20.00, it is considered a duplicate and is not typed by 232key. The tolerance setting is only available if you’ve selected a numeric device in the “input” tab. It doesn’t make sense to apply a tolerance to text devices, e.g. barcodes received from a barcode reader. If data is captured by 232key, it becomes the new reference for both the tolerance and timeout setting even if it is ignored (unless it’s empty, i.e. it contains no printable characters). For our second example with a tolerance setting of 0.05, this means that a value of 20.00 (received first) would be typed, but 20.05 (second) and also 20.10 (third) would be ignored (20.05 + 0.05 = 20.10). We recommend that you set a timeout in addition to the tolerance setting to restrict the ignore function (but you don’t have to). The new ignore function is not meant to be used with scales working in continuous mode (continuously transferring data several times per second).